Easy and delicious butternut cornbread stuffing with sweet potatoes, apples, cranberry, and herbs all made in the slow cooker. Pour in the broth, apple cider, and beaten eggs. Cook in the crockpot on low heat for 2-3 hours (mine was done after about 2.5 hours or high heat for 1 - 1.5 hours. Stir with a fork when finished. That butternut squash cornbread is wonderful on it’s own – but dang girl – in this stuffing, it sounds incredible! What a lovely combo of textures and flavors! Drooling over here at the combo of that butternut squash cornbread with the pecans and cranberries and all those herbs! Happy Thanksgiving Kelly! I’m loving your slow cooker dishes, Kelly! 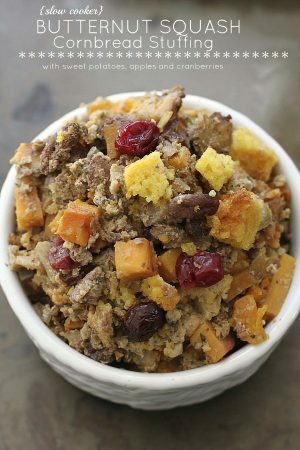 You’re so creative and everything sounds so wonderful, including this cornbread stuffing! I absolutely love the combination of squash, sweet potatoes, apples, and cranberries. 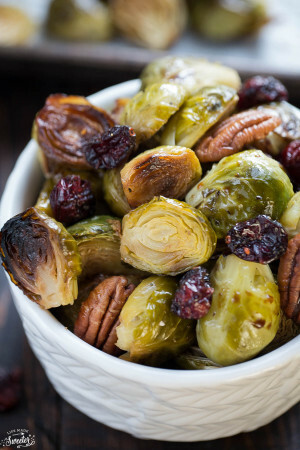 I’ve never had a stuffing quite like this, and it sounds so flavorful! Pinned! The stuffing is my favorite part too! This cornbread stuffing looks magnificent! Love that it’s made in the slow cooker too! ahhh, this looks so good. what a genius idea to make stuffing in the slow cooker!! The sides are my favorite too Kelly. Loving this cornbread and squash stuffing, it’s full of all my favorite ingredients! Happy Holiday! Oh my gosh, Kelly! This stuffing is checking off ALL of the yum factors in my mind! I just love love all of the different flavors you packed into one stuffing and obviously slow-cooked is where it’s at! I’m totally never going back to oven=baked stuffing again. Gorgeous photos too, girl! So trying this. 🙂 Pinned! Bring on the slow cooker dishes! Seriously! They not only save a lot of counter/oven/stove space, but they don’t require any babysitting at all. This looks fabulous, Kelly! Oh yes, what a great idea Kelly! 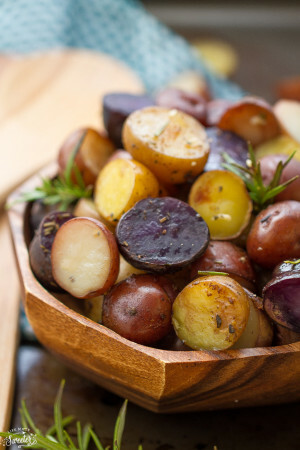 Perfect Thanksgiving side dish! This stuffing looks colorful and more important-very healthy! I love it! The slow cooker option sounds great! Slow cooker?! Sounds like a plan. I’ve never added butternut squash to stuffing but I can imagine it would be great. With the oven being such valuable real estate on Thursday, it is awesome to be able to use the slow cooker! I can’t believe this was made in one – you’d think it could turn out all mushy but this looks wonderful. Love the pops of color from the cranberries. 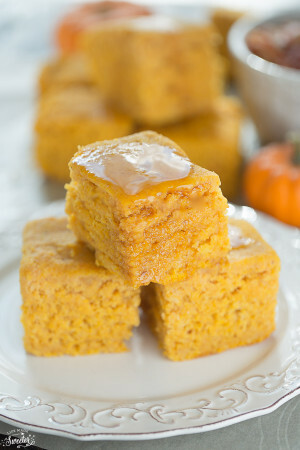 Cornbread and butternut squash would go so well together! I’m not usually a cornbread stuffing fan, but this I need to try! Pinning. The stuffing is absolutely the star of our meal (after the turkey, of course! )…this version looks amazing, my friend! Pinned! I will never turn down another slow cooker recipe. Keep ’em coming! This looks so delicious and I love the combo of flavors! The sides are my favorite part of Thanksgiving too! So smart to use a slow cooker and free up some oven space. So festive, Kelly! I’d love a big bowl of this stuffing right now – both today and on the big day! Butternut squash in stuffing is such a great idea 🙂 Have a fabulous week! It was a really bad idea to come look at your blog right before lunch time – now I’m STARVING! This dish looks incredible. Amazing photos! WOW! This looks amazing! 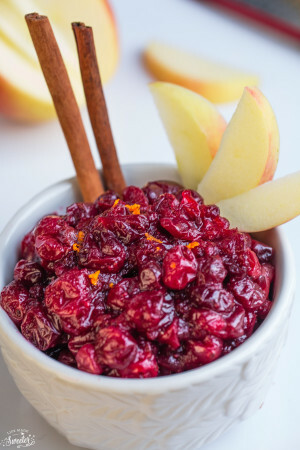 I love the apples and sweet potatoes and cranberries that you added to the stuffing! As if the butternut squash cornbread wasn’t good enough! And you made it all in the slow cooker! Pinned! I’ve never made my own stuffing before so this is definitely a recipe I need to try out. Great recipe Kelly! What a genius twist on stuffing and even better that it can be done in the slow cooker. Kelly, you can keep bringing me slow cooker recipes through february! I love them!! After making a savory gratin with butternut squash, I love added it to things to liven it up! This butternut squash cornbread stuffing looks amazing!!! and love the sweet potatoes, apples and cranberries too!!! so festive!!! love! You have the best slow cooker recipes Kelly! Love all the flavors in this stuffing. Hope you have a wonderful Thanksgiving! I love all of your slow cooker recipes, Kelly! I think I just want to have your stuffing as my Thanksgiving day meal. The flavor combination is spot on. Pinning! I’m not the biggest stuffing fan (but I do love sides) and this looks delicious to me! 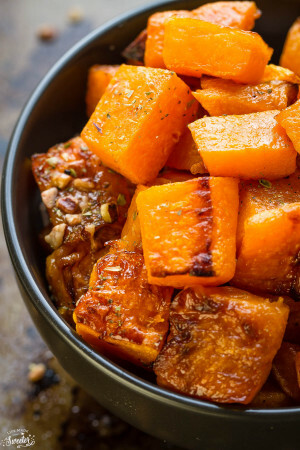 Love that you added sweet potatoes to stuffing! This sounds amazing! This looks amazing! The slow cooker makes everything better, especially over the holidays! I love making extra stuffing in the slow cooker for Thanksgiving – you can never fit enough actually inside the bird! Although I’d have a revolt on my hands if I tried something different with turkey dinner, but maybe next time I roast a chicken I can try this one! I love that you made this in the slow cooker – you totally solved a very common issue: NO OVEN SPACE! The butternut and cranberry combo sounds delicious too! I love what you put into this stuffing recipe!! It looks so amazing! I’ve actually never made stuffing–we’ve never even had it at the Thanksgiving table! I just bookmarked this so I can try it out for myself soon, especially with all those leftovers. Plus I just bought a brand new slow cooker I’m dying to try 🙂 happy holidays, Kelly! This sounds so amazing! I’m ashamed to admit I’ve considered using cornbread in stuffing. Now I won’t be able to stop thinking about it! Love all your crockpot recipes – keep ’em coming, please! I love the flavors you have going on in this dish Kelly! I hope you have a Happy Thanksgiving!! Side dishes are always my favourite 🙂 Especially when they’re as tasty as this looks! I’ve never had cornbread as anything other than cornbread by itself- this looks like a fantastic way of having them! I believe this just might be the stuffing of my dreams! Love how many fall flavors you’ve managed to infuse into this! 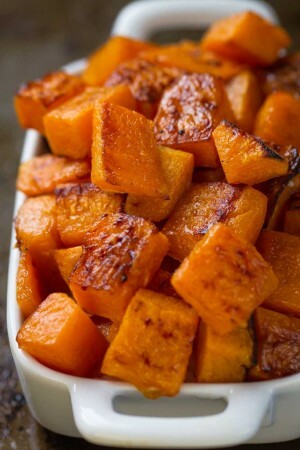 I am loving the chunks of butternut squash and sweet potatoes in this stuffing!